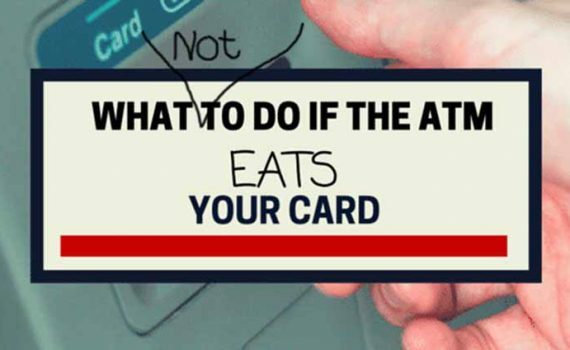 What was I to do when an Indonesian ATM ate my card? 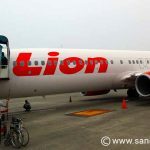 We had just arrived at Semarang airport on a Lion Air flight from Jakarta. This was the 2nd day of hopefully a 15-day trip to Karimunjawa: An island 88 kms north of Central Java. Loosing our card at this stage of the journey, with a fairly tight travel schedule and pre-booked accommodation, was potentially a game-changer. In need of local cash, we had planned to take out IDR 1,250,000 or so (around €87). This would be enough for our first few days in Indonesia. I didn’t want to take out more, since I heard that the airport ATMs charged higher withdrawal fees. ♦ one that delivers IDR 50,000 notes with a maximum withdrawal of IDR 1,250,000 per transaction. ♦ one that delivers IDR 100,000 notes with a maximum withdrawal of IDR 2,500,000 per transaction. 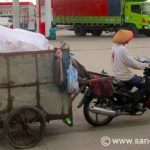 There is usually a notice on the machine indicating which type it is. In both cases, the maximum number of banknotes that can be delivered per transaction is 25 notes. It is more cost-effective to always take out the maximum per withdrawal, since you will pay the same transaction costs regardless of the amount you withdraw. Although there are limits per transaction, there is nothing to stop you making several consecutive transactions on the same machine. 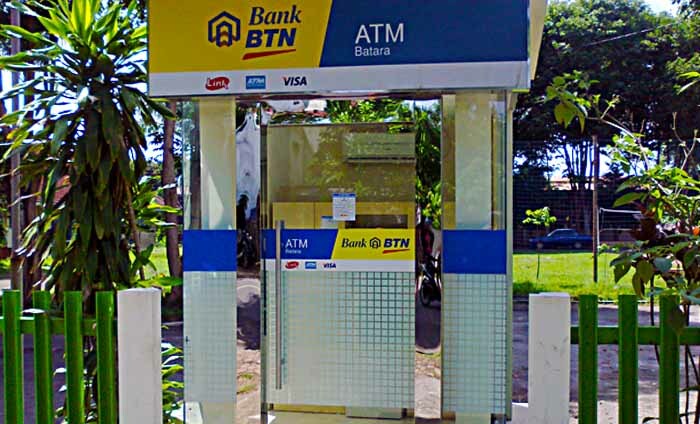 Note however that you really should notify your bank in advance, letting them know you will be withdrawing cash from ATM machines in Indonesia. If you do not do this, there is a good chance your bank will automatically block your card for suspected fraudulent use (see Jepara ATM Woes). After clearing customs, I found a Tourist Information desk. The young lady there informed me that we could find ATM machines in the busy Arrivals Hall, just before the Airport exit. I found the nearest ATM. It belonged to the BTN bank. When I inserted my card, I was given the option to choose a language: Indonesian or English. Proceeding in English, I entered my pin and selected my withdrawal amount. 1.25 million seemed an incredible amount, but I understood the machine would deliver it in 25 crisp IDR 50,000 notes. Indeed, after a few moments the machine produced a wad of notes and a receipt, which I took. At this point, however, I noticed that the language had somehow switched from English to Indonesian, and it was asking me to make a selection. The fact that it was also steadily beeping added a little urgency to the situation. The machine had still not returned my card, and I was pressured to do something – and quickly. The Indonesian text gave me no clues, I was going to have to wing it. I pressed the upper of the 2 button options. At this point, I was again asked to enter my pin (I could at least understand this much). I entered my pin and pressed what I assume was the enter button. At this point the machine started beeping rapidly, while it again gave me 2 more choices in Indonesian. A horrible feeling crept over me as I realised that the ATM machine had terminated our transaction. It had now reverted back to the standard welcome screen. The machine had not returned my card, but was happily open for business with the next customer. All plans for grabbing a taxi to Semarang and then taking a minibus to our hotel in Jepara were on the back-burner. While Lena kept an eye on the machine to make sure it didn’t suddenly return our card, I returned to the nice young lady at the Tourist Information desk to explain our problem. Despite the big smile and pleasant manner, her English wasn’t quite up to grasping the complexity of our situation. Her male colleague, on the other hand, quickly understood our problem. 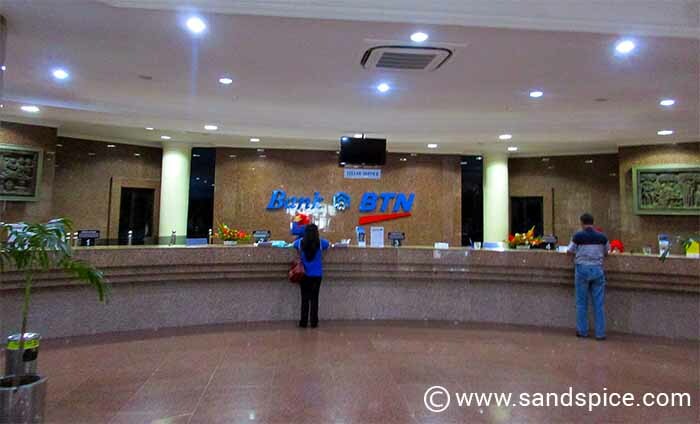 He started to make phone calls to try to contact someone at the BTN bank. This all took quite a while, and he wasn’t able to get hold of anyone. In the end, he suggested the only way was to go in person to the bank’s Head Office to try our luck there. He had at least been able to get their address. I was reluctant to leave the machine with my card in it. However, there was no way we would get someone to come and open it up without chasing them up ourselves. 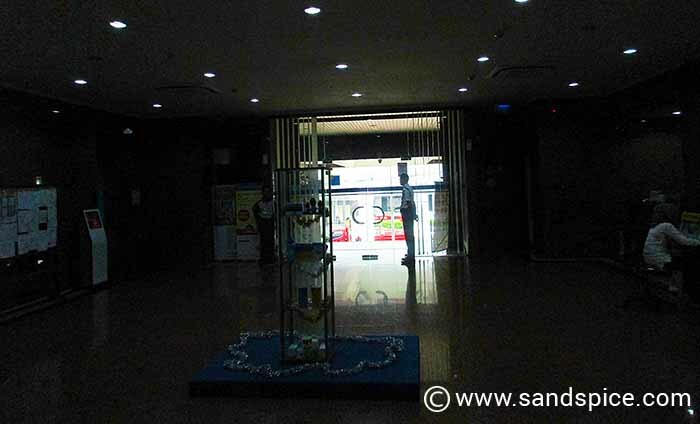 Arifin, the young guy from the Tourist Information desk, very kindly offered to accompany us to the bank to interpret for us – it was highly unlikely that anyone there spoke English. We took a taxi for the 30 minute drive across town and into the outskirts. On arrival at the bank we needed to take a ticket and wait our turn. after an hour or so, the bank Customer Relations Officer agreed to see us. We were lucky to have Arifin with us, since nobody there spoke English. He explained what had happened. The Customer Relations lady informed us that their bank policy was fixed: They had to destroy all cards that were found in their machines. Arifin was persistent, however. After further discussion (and not a little flirting), he persuaded her to bend the rules. She would get an engineer to open the machine and return the card to the bank – but it could only be done the following day at the earliest. 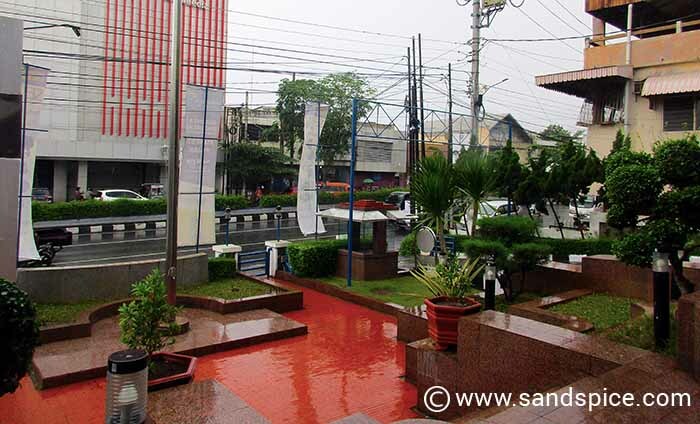 Option 1: We wait in Semarang until tomorrow and forfeit our prebooked hotel in Jepara for tonight. Instead, we would have to book another hotel in Semarang for the night, and then another in Jepara for the following night (assuming we did get our card back). 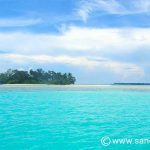 This would also have a knock-on effect on our upcoming pre-booked hotels in Karimunjawa. This could all get a bit messy… and put us well over budget. Option 2: We continue on to Jepara today, according to plan. We tell the BTN bank to trash our swallowed card. For good measure, I call my bank back home and also get them to cancel the card. I was carrying just one more credit card with me, which hopefully would get us through the rest of the trip. We went for Option 2 (it seemed a good idea at the time…). No change in plan, just one credit card lighter, which could be replaced after the trip. I called my own bank back home to cancel the card, but was cut off halfway through giving the instructions (I’d reached my prepaid mobile limit in blazingly-fast time). Well, I’d had just enough time to explain the situation, so assumed they would go ahead with the cancellation. Next, I used my other credit card to take out cash from the ATM machine inside the bank. I asked one of the bank staff to oversee the operation to ensure no further mishaps. Again, the machine suddenly switched language to Indonesian before returning my card, but this time I was guided through the retrieval process by the staff member standing behind me. Before leaving the bank, I requested the Customer Relations lady to make sure my card would be destroyed the following day as soon as it had been retrieved. At last, once more flush with cash, we were able to proceed on our journey to Karimunjawa, via Jepara. It had already been a long day. I know exactly what you’re talking about – I also had problems in Semarang, and again Arifin helped me so much: God bless him! Since we got back home, we’ve been in touch with Arifin again. 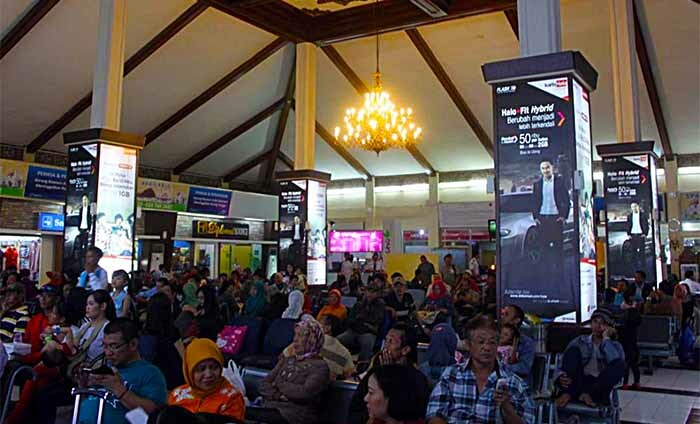 For any other travellers who have problems in Semarang, both Arifin and his colleague Mr Pram at the TIC are very helpful.